I have posted about this before, but as I said then - this is possibly the most exciting event I have heard of this year! Legendary Director (and Composer) John Carpenter the man behind films like: Assault on Precinct 13, Halloween, Escape from New York, Big Trouble in Little China and They Live amongst others. And yea, he pretty much created all the iconic sounds for his films - is playing a two gigs at The Troxy in London this Halloween! 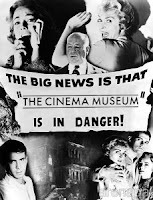 And will be performing his film soundtracks and new compositions. Carpenter embarked on his first ever live performance tour earlier this year and has been playing to sold out audiences to rave reviews. 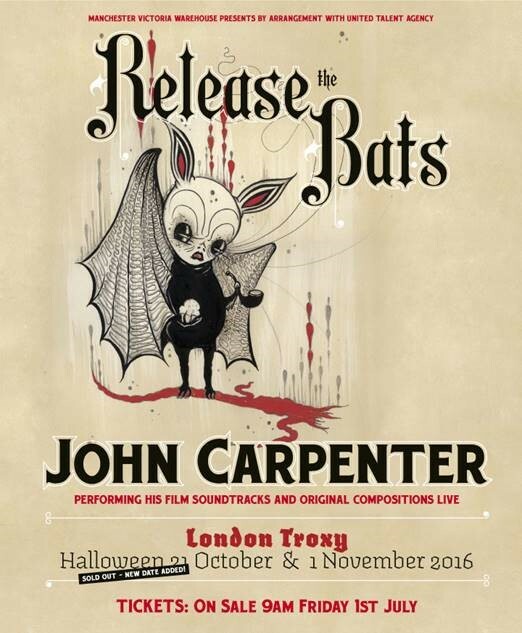 This October he arrives in the UK and will be playing live performances throughout the UK and Ireland: Brighton 20 October, Edinburgh 22 October, Bristol 23 October, Dublin 25 October, Liverpool 28 October, Manchester 29 October and as John Carpenter's Release the Bats London gig on 31st October is sold out an extra date has been added so he will be playing at The Troxy on Tuesday 1st November 2016 as well. John Carpenter is most well known for his films like the great Escape from New York, The Thing, Assault on Precinct 13, They Live, The Fog, Halloween and Starman amongst many others. 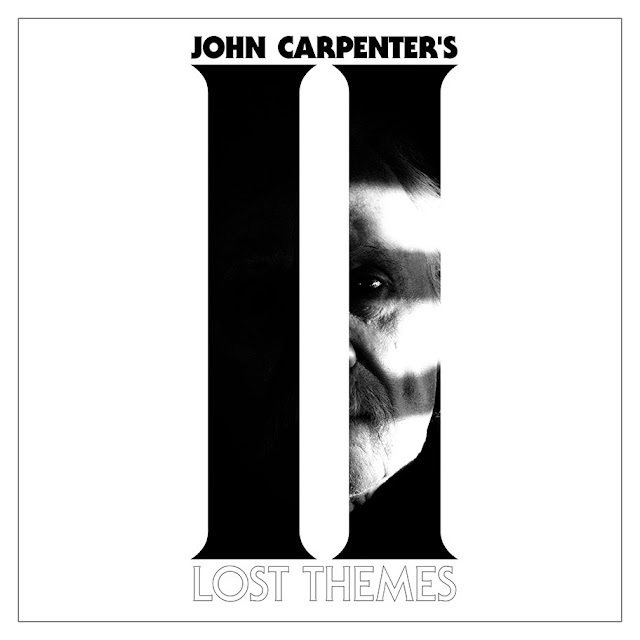 But not only does John Carpenter create great tension fraught tales but he composes the unique electro sound for his films, bringing a unique and engaging ambience to his films. 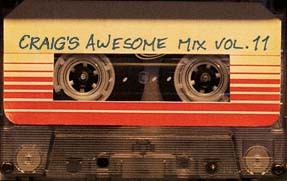 And spawning some of the most recognisable film music from the last 30 years. Video: Master of Horror, Director John Carpenter Live at Troxy, London on Tuesday 1st November! To add another accomplishment to his growing list Carpenter is now making non soundtrack music, but that doesn't mean the music is not cinematic! He has released two albums so far; Lost Themes and most recently Lost Themes II which is the core of his first ever live tour.